Light-Sport Aircraft have accomplished much in the 15 years this new class of aircraft have existed: • Lower purchase cost — with choices spread over a wide variety of aircraft. 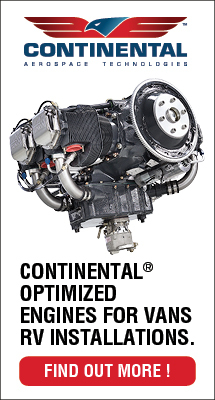 • Lower operational cost and ability to use auto gas, available everywhere on Earth. • Pilots no longer required to achieve an aviation medical. …and much more. Light-Sport Aircraft may have enabled more than you know …literally enabled. One significant way has been to offer the dream of flight to those who have lost some abilities. One organization has been in the vanguard of this positive development thanks to its capable, persistent, and motivated leader, Charles Stites. That entity is Able Flight, a worthy group that has attracted many friends and supporters (among them your humble reporter). Recently, Charles was able to announce a new agreement with the well-known airshow event and its education arm. "Our new training partnership with Sun 'n Fun Inc's Aerospace Center For Excellence (ACE) provides an outstanding opportunity to build upon our successful relationships with Purdue University and The Ohio State University," noted Charles. 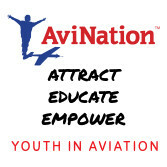 "Able Flight can now send flight training scholarship winners to three training locations. Florida delivers an ability to train almost year round," observed Stites, adding, "Able Flight student pilots will benefit from the expertise of dedicated aviation professionals who have built a unique program." Sun 'n Fun was pleased to lend support. "Aerospace Center for Excellence, the educational component of Sun 'n Fun, Inc., is excited to announce its partnership with Able Flight, a unique organization that shares a similar belief that learning to fly is a life changing experience," said Ed Young, Executive Director of ACE. "The partnership with Able Flight is a perfect marriage. Our mission at ACE is to engage, educate and accelerate the next generation of aerospace professionals. 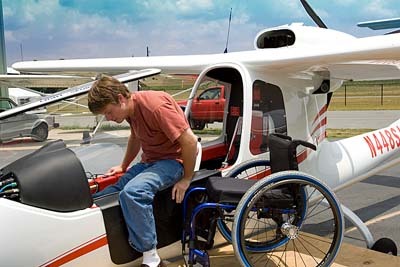 Able Flight's success educating individuals with disabilities in flight training is unparalleled. We have the opportunity to truly change lives by combining our core competencies." The partnership is supported by Zenith Aircraft, which is providing ACE with a Zenith 750 kit that will be modified with adapted hand controls for use by Able Flight student pilots. 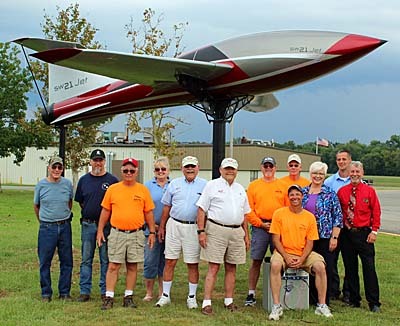 The plan is to build the airplane in the Buehler Restoration Center on the ACE campus during Sun 'n Fun with the help of the Lakeland Aeroclub, the youth flying club on the ACE campus. Young said. "We are planning to name the aircraft the Spirit of Lakeland." 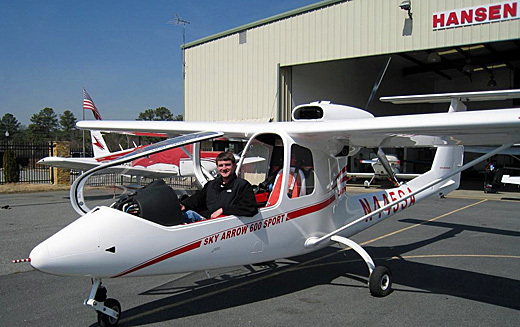 Light-Sport Aircraft have accomplished much in the 15 years this new class of aircraft have existed: • Lower purchase cost — with choices spread over a wide variety of aircraft. • Lower operational cost and ability to use auto gas, available everywhere on Earth. • Pilots no longer required to achieve an aviation medical. …and much more. Light-Sport Aircraft may have enabled more than you know …literally enabled. One significant way has been to offer the dream of flight to those who have lost some abilities. 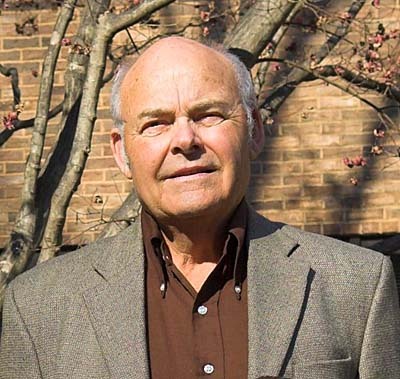 One organization has been in the vanguard of this positive development thanks to its capable, persistent, and motivated leader, Charles Stites. That entity is Able Flight, a worthy group that has attracted many friends and supporters (among them your humble reporter). 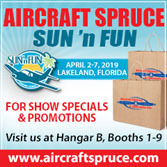 Able Flight Teams Up with Sun ‘n Fun & ACE Recently, Charles was able to announce a new agreement with the well-known airshow event and its education arm. Get Your Walter Mitty On — SW51 Coming At You Soon! 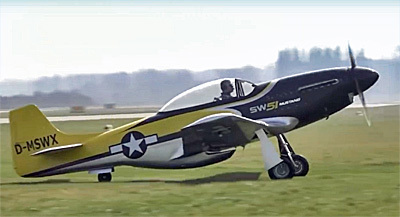 Many pilots who first set eyes on the SW51, a precisely faithful 70%-scale imitation of the famous North American Aviation P-51 Mustang managed to utter a single word: "WOW!" Can you blame them? Look at this bird. The shape is classic and the detail is exquisite, finished down to the last rivet to mimic the famous World War II American fighter. Except, it's a kind of fake. I better explain. We've seen this spectacular execution of Hans Schwöller before. It was then called FK51 and we reported it earlier in more detail as to its construction. Now welcome ScaleWings Aircraft. Thanks to his youthful associate, Christian von Kessel, SW51 has been refunded and reenfranchised, bringing it to reality. The earlier producer group stumbled and this amazing construction never reached market. Can you handle a machine that looks this awesome? 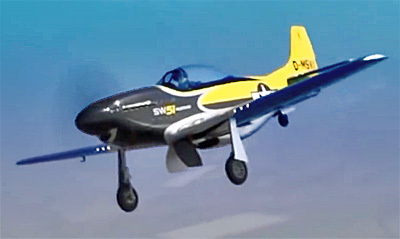 As you hear Hans and Christian state in the video, SW51 is easy to take off and land and docile in flight. Early test flight were done by a Lufthansa airline captain (image). In fact, other P-51 clones also boast relatively manageable flight qualities, unlike the North American original that demanded considerable training and good skills, according to those with experience in the powerful machine. (If you have extra time on your hands, you can read my own experience with the prototype Titan Aircraft T-51 that provided — how shall I say? — …a learning experience.) For those ready for the hottest action, you can build the Experimental version and install a Chevy V-8 engine, but that's well beyond the scope of this website. If you're curious, though, ScaleWings says the airframe can take up to 600 horsepower. 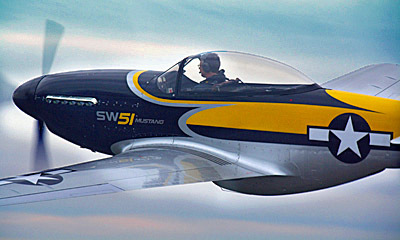 The most distinctive quality of SW51 is its tight adherence to the original look, albeit it as a 70%-scale replica of the historic P-51 Mustang. The earlier report referenced above goes into more detail but I must repeat that although this looks remarkably like a riveted structure, it is not. SW51 is a carbon fiber execution of the original so true that a reported 100,000 rivets are molded into the finish. 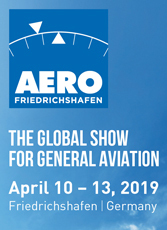 I saw people examining the example at Aero Friedrichshafen run their hand over the skin and they may still not have realized it was something of an illusion. Yes, it's that good! Lufthansa Airlines Captain Thomas Kreimeierof performed the first test flight in September 2014. Actually, it's better in one way. 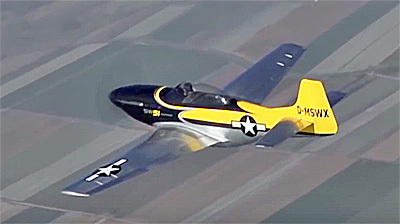 The North American P-51 was originally a single seater. Imagine your first flight in that aerial hot rod! ScaleWings' model will accommodate pilots from 4 feet, 11 inches (150 cm) to 6 feet, 7 inches (200 cm) in a cabin that is 22.8 inches wide (58 cm). That aft seat uses enclosed foot wells to prevent interference with front seat belts while using the rear pilot pedals but obviously the SW51 will allow flight training as needed. Engine controls plus throttle and prop controls are provided at each seat. 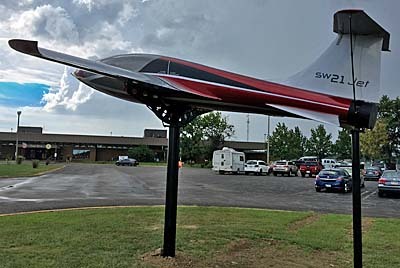 SW 51 also bests the original with detachable outer wing sections that feature an autoconnect design; wing locking connects flaps, ailerons, pitot tube, electric and fuel lines. The developer reports the process takes one person a mere five minutes to complete. If you want the LSA version, it will be supplied with a fixed gear configuration; the manufacturer understands what is needed for the U.S. market. 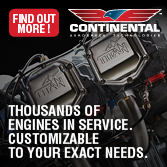 For those that want the whole Walter Mitty effect with big engine and high speeds, learn more here about their kit-building program. 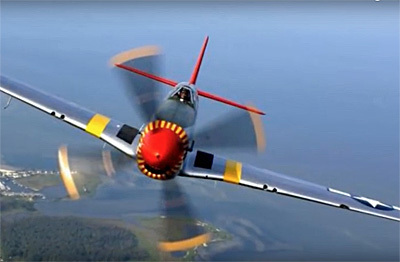 Many pilots who first set eyes on the SW51, a precisely faithful 70%-scale imitation of the famous North American Aviation P-51 Mustang managed to utter a single word: “WOW!” Can you blame them? Look at this bird. The shape is classic and the detail is exquisite, finished down to the last rivet to mimic the famous World War II American fighter. Except, it’s a kind of fake. I better explain. We’ve seen this spectacular execution of Hans Schwöller before. It was then called FK51 and we reported it earlier in more detail as to its construction. Now welcome ScaleWings Aircraft. Thanks to his youthful associate, Christian von Kessel, SW51 has been refunded and reenfranchised, bringing it to reality. The earlier producer group stumbled and this amazing construction never reached market. Can you handle a machine that looks this awesome? As you hear Hans and Christian state in the video, SW51 is easy to take off and land and docile in flight. Article Updated 9/7/15 — See new information at the bottom of this article. Coming up TOMORROW! — September 8-9-10, 2016 — is the Midwest LSA Expo. I'm on-site for all three days in Mt. Vernon, Illinois. More info: Midwest LSA Expo. Only six years after Steve Jobs proudly announced the first iPad, the tablet device seems to have fully conquered aviation. Airline captains routinely use iPads in lieu of bulky printed instrument charts. 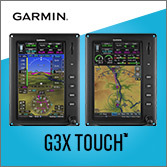 GA airplane owners with analog panels commonly use an iPad to join the digital revolution without needing to get FAA's permission. And, LSA developers often accommodate the iDevice; indeed, some Light-Sports make do solely with iPads, occasionally multiple devices. Despite his visionary prowess, I bet Steve Jobs never imagined such a result. Unfortunately, he didn't live long enough to see the cockpit transformation his gizmo caused. However, if you've flown with an iPad, you know you need some way to hold it that allows access to its wealth of information without interfering with airplane operation. No problem. Aircraft Spruce is now offering AirGizmos Airmounts with fixed, tilt, and suction capabilities for your iPad Mini or iPad Air. GA pilots (or anyone with a panel full of steam gauges) can use mount designed to fit standard 3.125-inch instrument holes. The AirGizmos Airmount can be placed on your panel and hold securely," said Aircraft Spruce reps. "With Tilt Mount, AirGizmo allows for a 16-degree tilt up or down for a convenient viewing while flying. For those looking for a mount for a rental aircraft, or a lack of space on their panel, try the suction mount. 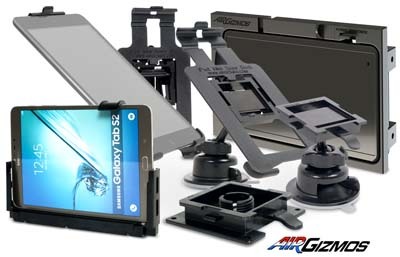 The AirGizmo with Suction Mount holds your iPad securely using a heavy duty suction cup to attach it to your windshield or any other smooth surface." As the nearby image shows, the mounts can also work for Android devices. Aircraft Spruce's complete product line is available at the company website. Readers may request a complimentary copy of the company's free 1,000+ page catalog here (available in print, CD, or PDF formats). One of the longest-selling, still-in-production light aircraft is the FK Lightplanes FK9. It was first debuted at the 1989 Aero show in Germany, giving this venerable model a 27-year history, a few months longer than another veteran, Tecnam's P92 Echo. Both have seen numerous variations on the theme and both have worn the passage of time like a comfortable coat. More than 500 FK9s are flying. In the last year, FK Lightplanes — formerly a German company now based in Poland and run by a South African — addressed frequent comments from FK9 pilots seeking more space. "We launched a WideBody version of our FK9 MkV model," said company director Roland Hallam. The difference is 10 centimeters or about four inches, but that width change makes more difference than it sounds from the number alone. As some experts have noted, you cannot perceive the extra width from the outside of this handsome airplane but you will enjoy it once inside. In addition, as you can see in the nearby photo, FK Lightplanes has also added amphibious floats to the FK9. "We had already installed straight floats to the FK9 MkV but — working with Czech developer Josef Fillinger — we installed amphibious floats on our WideBody, including four retractable gear." Roland added, "Unfortunately, the amphib float system alone weighs 264 pounds, so we can only sell this version into the 600-kg LSA countries, like you guys in the States." The WideBody version also gained outside access to the luggage compartment that can hold up to 22 pounds. 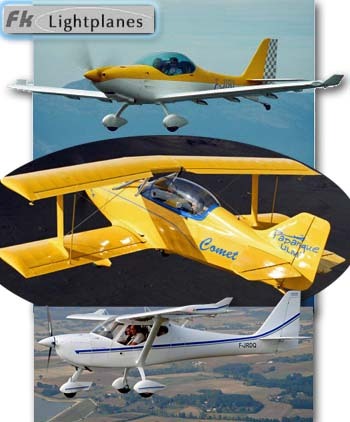 Find out more about FK Lightplanes in the USA by contacting Hansen Air Group. 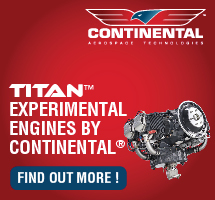 According to an online news report from Tijuana, Mexico, "Icon Aircraft announced ... the establishment of a production plant in the city of Tijuana, Baja California, [to build] the entire structure for A5." Icon reportedly expects the plant to be completed in early 2017 after which the operation will be "delivering structures of carbon fiber fuselages to its facilities in [Vacaville], California for final assemble and flight testing." The report continued, "Icon will begin its serialized production and has selected the city of Tijuana as the ideal location for the production of composite components because of Tijuana's established industrial infrastructure, skilled, labor, and proximity to the Vacaville, California factory." "With an investment of more than $150 million and employment for over 1,000 people, this event marks the prelude to a significant project that will benefit both the city and the country," the report detailed. A presentation ceremony is planned for Thursday, September 8th at the Tijuana Cultural Center at which the report said Icon CEO Kirk Hawkins will be joined by Mexican government authorities and private sector representatives. 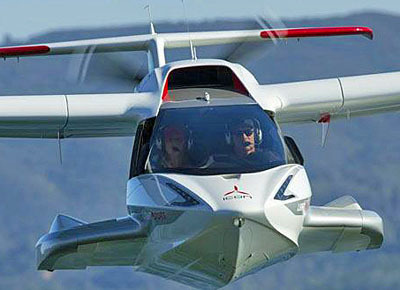 Plans back in 2012 called for Cirrus Design to make Icon A5 composite parts in one of its Minnesota facilities but this plan has not been mentioned in company announcements since. Perhaps now we know why. Article Updated 9/7/15 — After I broke this story thanks to a tip from an alert regular reader, other aviation media jumped on the hot news and Icon followed with a formal news release. On September 7, 2016 Icon announced "the construction of a new facility in Tijuana, Mexico as part of a revised production plan announced in May. The company decided to produce its own composite components, a manufacturing process that was previously outsourced to several suppliers." The new facility, which Icon reports will start operations in November, 2016, covers approximately 300,000 square feet and will fabricate composite components for the A5. CEO and Founder Kirk Hawkins said, "By bringing composite fabrication in-house, we will be able to ensure that components meet Icon's strict quality and cost standards while also allowing us to more rapidly implement changes." Thomas Wieners, Icon's VP of Manufacturing, led construction and operation of Bombardier Recreational Products' (BRP) facility in Querétaro, Mexico, where the company related to Rotax Aircraft Engines makes Sea-Doo watercraft and other products. He said TIjuana is "ideal" for Icon because of the Mexican city's "infrastructure and skilled labor force, including composites and aerospace expertise." Article Updated 9/7/15 — See new information at the bottom of this article. Coming up TOMORROW! — September 8-9-10, 2016 — is the Midwest LSA Expo. I’m on-site for all three days in Mt. Vernon, Illinois. More info: Midwest LSA Expo. Only six years after Steve Jobs proudly announced the first iPad, the tablet device seems to have fully conquered aviation. Airline captains routinely use iPads in lieu of bulky printed instrument charts. 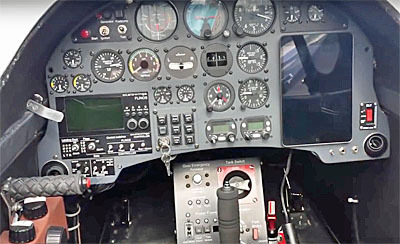 GA airplane owners with analog panels commonly use an iPad to join the digital revolution without needing to get FAA’s permission. And, LSA developers often accommodate the iDevice; indeed, some Light-Sports make do solely with iPads, occasionally multiple devices. Despite his visionary prowess, I bet Steve Jobs never imagined such a result. Unfortunately, he didn’t live long enough to see the cockpit transformation his gizmo caused. However, if you’ve flown with an iPad, you know you need some way to hold it that allows access to its wealth of information without interfering with airplane operation. Read More About: A5 Aircraft Spruce & Specialty Duc Hélices (props) Dynon Avionics FK9 Mark III Hansen Air Group Icon Aircraft Tecnam US Inc.
Germany's popular Fk9 from FK lightplanes is one of that country's most popular models, often flown in flight schools and by hundreds of recreational pilots. Around since the 1990s, the Fk9 has been continuously updated. In fact, this would be the Mark 5 version had not the company renamed it the Fk9 ELA, for European Light Aircaft. In the USA, FK Lightplanes is well represented by Hansen Air Group. Come on along as we look throughout this new version of a well proven light aircraft. Germany’s popular Fk9 from FK lightplanes is one of that country’s most popular models, often flown in flight schools and by hundreds of recreational pilots. Around since the 1990s, the Fk9 has been continuously updated. In fact, this would be the Mark 5 version had not the company renamed it the Fk9 ELA, for European Light Aircaft. In the USA, FK Lightplanes is well represented by Hansen Air Group. Come on along as we look throughout this new version of a well proven light aircraft. Two decades of hard work, sharp design and marketing vision, and keeping a high bar for quality production recently brought FK Group, German makers of three European "ultralights", an award from Aerokurier magazine for best manufacturer. 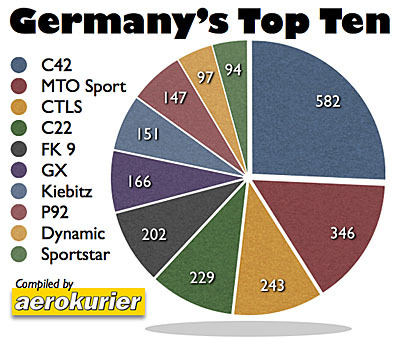 FK beat out Remos and other top light sport builders. *** The latest good news from the FK 9 MK IV producer, (a lovely ASTM-approved LSA I'm eager to jump a hop in), is the newly completed second factory that will complete the company's goal of producing 100% of its aircraft, from fab to outfitting to painting, all in-house. *** A company release praises FK's association with Cirrus, (lamentably in suspension of its own low-wing Polaris LSA project - also manufactured by FK - to marshal efforts on its Vision jet), for the "huge production knowledge" in expanding its facilities. *** The company also grew its workforce by 40% this year - and that in a down economy! *** I encourage you to check out this company and the FK 9. More than 400 have shipped so far throughout the world - most impressive. *** I'm hoping the FK 9 will soon be joined in ASTM certification by its sister ships: the Polaris and the FK 12 Comet, a racy-looking biplane LSA that is back in production in Europe and moving toward ASTM approval. *** Keep your eye on these folks. Over 20 years they've built a solid reputation. Two decades of hard work, sharp design and marketing vision, and keeping a high bar for quality production recently brought FK Group, German makers of three European “ultralights”, an award from Aerokurier magazine for best manufacturer. FK beat out Remos and other top light sport builders. *** The latest good news from the FK 9 MK IV producer, (a lovely ASTM-approved LSA I’m eager to jump a hop in), is the newly completed second factory that will complete the company’s goal of producing 100% of its aircraft, from fab to outfitting to painting, all in-house. *** A company release praises FK’s association with Cirrus, (lamentably in suspension of its own low-wing Polaris LSA project – also manufactured by FK – to marshal efforts on its Vision jet), for the “huge production knowledge” in expanding its facilities. Light-Sport Aircraft are nothing if not diverse. We have all manner of aircraft on our SLSA List of 104 approved models. Germany's FK Lightplanes illustrates diversity through their trio of models: high wing Fk9 series; biplane Fk-12; and low wing Fk14. *** In May 2009, the newest iteration of the Fk9 series was flown by designer Peter Funk. The Fk9 ELA (a reference to European Light Aircraft, a new class EASA is planning) is a stretched, roomier model of the popular series. The changes should play well in the American market. *** Peter Funk commented, "It seemed that [Fk9 ELA's new] winglets are improving control efficiency and low speed characteristics." In addition, the newest model boasts a larger cabin space, a larger panel with room for big screens, more baggage area, electric flaps, and optional longer-range fuel tanks. The versatile Fk9 ELA is also available on straight or amphibious floats or in taildragger gear. *** Another feature-laden model is the Fk12 Comet with its swept biplane wings that also fold. You can have Fk12 with a full bubble canopy enclosure, or two open cockpits with windscreens, or a front, covered cockpit and aft windscreen only. *** Though still under contract with Cirrus for the low wing model, Fk14 Polaris is sold in Europe with a choice of tri-gear or taildragger. Fk Lightplanes has also experimented with powerplants including an engine from Mercedes. As the company completes work toward SLSA approval for Fk9 ELA and Fk12, they are also seeking additional representatives for the U.S. market. Interested? Light-Sport Aircraft are nothing if not diverse. We have all manner of aircraft on our SLSA List of 104 approved models. Germany’s FK Lightplanes illustrates diversity through their trio of models: high wing Fk9 series; biplane Fk-12; and low wing Fk14. *** In May 2009, the newest iteration of the Fk9 series was flown by designer Peter Funk. 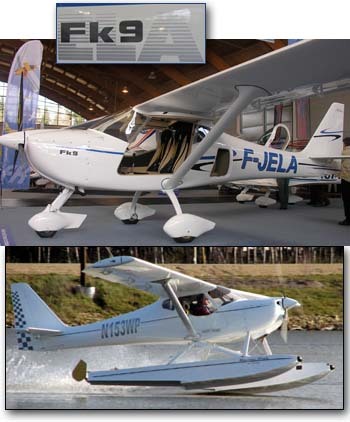 The Fk9 ELA (a reference to European Light Aircraft, a new class EASA is planning) is a stretched, roomier model of the popular series. The changes should play well in the American market. *** Peter Funk commented, “It seemed that [Fk9 ELA’s new] winglets are improving control efficiency and low speed characteristics.” In addition, the newest model boasts a larger cabin space, a larger panel with room for big screens, more baggage area, electric flaps, and optional longer-range fuel tanks. The versatile Fk9 ELA is also available on straight or amphibious floats or in taildragger gear. 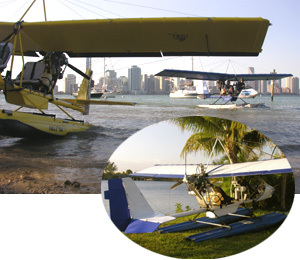 AERO 2009 NEWS -- An even more sophisticated Fk9 ELA maintains the clean, simple lines of the Mark IV shown at bottom on floats as operated by seaplane flight school expert, FK Lightplanes USA, based in Miami, Florida. 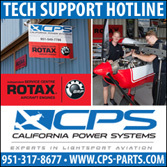 Hansen Air Group has Georgia and California locations. Most American pilots don't recognize the brand FK Lightplanes, though many do know of one of their models. 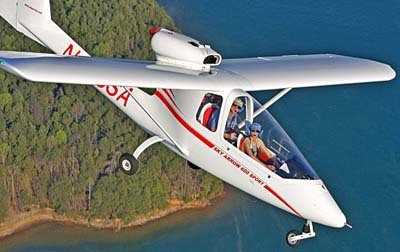 Cirrus Design based their celebrated entry into Light-Sport Aircraft upon the Fk14 Polaris. This lovely low wing looks enough like a Cirrus that the Duluth, Minnesota manufacturer selected it as their platform to offer what they called the SRS. *** The producer of the best-selling SR22 felt they needed to "Cirrus-ize" the Fk14, but now with the GA industry in sharp decline the company put the SRS project on hold to focus on their Vision jet (which sells for 10X more). *** Yet FK Lightplanes also builds a handsome high-wing model, which has gone through significant refinements in more than a decade on the market. "We'll still make our Fk9 Mark 4 [the earlier model]," said company director Peter Funk, but his company is now launching the Fk9 ELA (as in European Light Aircraft), a version that more closely matches LSA specifications. It has higher maximum takeoff weight and appears roomier even to include a new baggage door. *** FK is also enjoying broader representation in the USA as importer FK Lightplanes USA joined forces with Hansen Air Group to represent the Fk9 series in America. Most American pilots don’t recognize the brand FK Lightplanes, though many do know of one of their models. 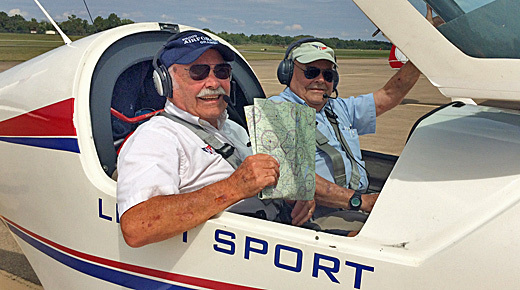 Cirrus Design based their celebrated entry into Light-Sport Aircraft upon the Fk14 Polaris. This lovely low wing looks enough like a Cirrus that the Duluth, Minnesota manufacturer selected it as their platform to offer what they called the SRS. *** The producer of the best-selling SR22 felt they needed to “Cirrus-ize” the Fk14, but now with the GA industry in sharp decline the company put the SRS project on hold to focus on their Vision jet (which sells for 10X more). *** Yet FK Lightplanes also builds a handsome high-wing model, which has gone through significant refinements in more than a decade on the market. “We’ll still make our Fk9 Mark 4 [the earlier model],” said company director Peter Funk, but his company is now launching the Fk9 ELA (as in European Light Aircraft), a version that more closely matches LSA specifications. Dealmaking and Consolidation? New LSA Directions? Wheeling and dealing... FK Lightplanes gained Hansen Air Group as a distributor of their Fk9, shown above with Baumann floats. [Lower Inset] Jon Hansen poses with Tony (C) and Adriel Anderson. Read my Fk9 report. What to the following events have in common? 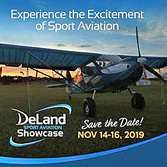 ...Sebring LSA Expo, Heart of Texas LSA Expo, Midwest LSA Expo, Sport Pilot Tour... Answer: All are focused marketing shows generating keenly interested crowds to examine Light-Sport Aircraft. When that happens, business arrangements sometime result, and not all deals are between airplane buyers and sellers. 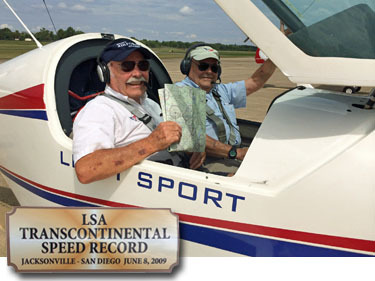 *** At the Sebring LSA Expo FK Lightplanes USA struck an agreement with Hansen Air Group. The latter, an Atlanta-based national seller of the Sky Arrow and new FP-04 Peregrine, signed on to represent the Fk9, seen in Florida atop Baumann BF-1500 floats. One aviation family helps another as FK's father-and-son Tony and Adriel Anderson linked up with twin brothers Jon and Ron Hansen. *** Recently I attended an open house for another mini-conglomerate in light-sport aviation based at the Melbourne, Florida airport. U.S. reps for Evektor and Urban Air have teamed up, sharing a hangar and a common president, Josef Bostik (who additionally runs Magnum Ballistic Parachutes). They also invited Advanced Aero and their inverted V-tail concept aircraft to join them. *** Also at Sebring, LAMA announced it had signed Memorandums of Understanding with several leading experts to help the industry trade organization deliver on its promise to provide third-party auditing to 68 companies presently building LSA. What to the following events have in common? 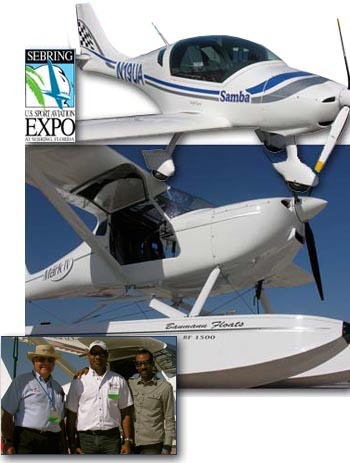 …Sebring LSA Expo, Heart of Texas LSA Expo, Midwest LSA Expo, Sport Pilot Tour… Answer: All are focused marketing shows generating keenly interested crowds to examine Light-Sport Aircraft. When that happens, business arrangements sometime result, and not all deals are between airplane buyers and sellers. 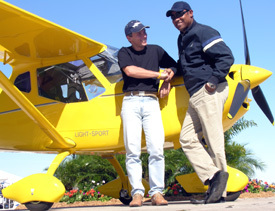 *** At the Sebring LSA Expo FK Lightplanes USA struck an agreement with Hansen Air Group. 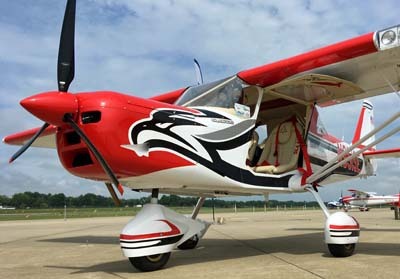 The latter, an Atlanta-based national seller of the Sky Arrow and new FP-04 Peregrine, signed on to represent the Fk9, seen in Florida atop Baumann BF-1500 floats. One aviation family helps another as FK’s father-and-son Tony and Adriel Anderson linked up with twin brothers Jon and Ron Hansen. *** Recently I attended an open house for another mini-conglomerate in light-sport aviation based at the Melbourne, Florida airport. Cementing their business arrangement, Fk9 designer and company director, Peter Funk (left), shakes hands with Tony Anderson of Fk Lightplanes U.S. at the Sebring Expo. He could see the benefit for his company's sales, so Fk Leichtflugzeuge -- or FK Lightplanes -- president Peter Funk came from Speyer, Germany to support his new American importer, Tony Anderson of Fk Lightplanes USA. Tony brought his family operation to Sebring and their classy display at the main intersection of the U.S. 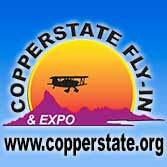 Sport Aviation Expo attracted the attention of many in attendance. The intensely yellow Fk9 turned heads and lifted 25 pilots who took demo flights during Sebring. 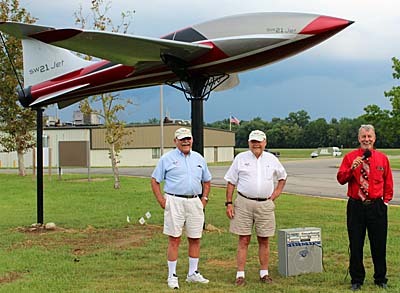 "I was very happy to see how well our high wing model was received," said a smiling Peter Funk. The Fk9 Mk IV is a well-evolved design. Since the Mk I model flew in 1989, more than 300 aircraft have been delivered. The latest generation Mk IV features a wider cockpit area, four inches more legroom, and improved seat comfort. Unlike many LSA, Fk9 is available as a kit, fast-build kit, or ready-to-fly SLSA. He could see the benefit for his company’s sales, so Fk Leichtflugzeuge — or FK Lightplanes — president Peter Funk came from Speyer, Germany to support his new American importer, Tony Anderson of Fk Lightplanes USA. Tony brought his family operation to Sebring and their classy display at the main intersection of the U.S. Sport Aviation Expo attracted the attention of many in attendance. The intensely yellow Fk9 turned heads and lifted 25 pilots who took demo flights during Sebring. “I was very happy to see how well our high wing model was received,” said a smiling Peter Funk. The Fk9 Mk IV is a well-evolved design. Since the Mk I model flew in 1989, more than 300 aircraft have been delivered. The latest generation Mk IV features a wider cockpit area, four inches more legroom, and improved seat comfort. Unlike many LSA, Fk9 is available as a kit, fast-build kit, or ready-to-fly SLSA. With downtown Miami only half a mile away, Ultralight Adventures does seaplane-based training and intro flights in one of the most cosmopolitan settings imaginable. That's how you attract celebrity customers like Enrique Iglesias, a top Latin singer (and son of Julio) seen taxiing in this photo. More than a decade ago, Tony Anderson started teaching students how to fly on floats. Today, his family enterprise spreads across three aviation businesses. In a recent visit I was most impressed to witness what the Andersons have built. From their home base with hangar right on an in-town lake to the North Perry Airport FBO to a downtown Miami seaplane operation, Tony and son Adriel have this major tropical metro covered. 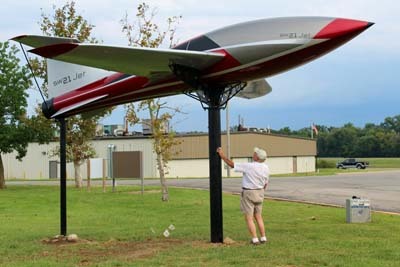 At North Perry they also run their FK Lightplanes USA enterprise, importing and selling the Fk9, Polaris, and Comet. On my visit the Fk9 used for training was constantly busy plus I saw two brand-new Fk9s available for immediate delivery. Across the city in downtown Miami, Tony and Adriel operate several Drifter 912s on straight Lotus floats. Adriel directs this training and intro lesson operation. He's accumulated a rather astounding 5,000 hours in one particular Drifter and it isn't the only aircraft he flies. More than a decade ago, Tony Anderson started teaching students how to fly on floats. Today, his family enterprise spreads across three aviation businesses. In a recent visit I was most impressed to witness what the Andersons have built. From their home base with hangar right on an in-town lake to the North Perry Airport FBO to a downtown Miami seaplane operation, Tony and son Adriel have this major tropical metro covered. At North Perry they also run their FK Lightplanes USA enterprise, importing and selling the Fk9, Polaris, and Comet. On my visit the Fk9 used for training was constantly busy plus I saw two brand-new Fk9s available for immediate delivery. Across the city in downtown Miami, Tony and Adriel operate several Drifter 912s on straight Lotus floats. Adriel directs this training and intro lesson operation. He’s accumulated a rather astounding 5,000 hours in one particular Drifter and it isn’t the only aircraft he flies. Here's one of two newly received FK9 Mark IV B models imported by FK Lightplanes USA. The inset photo highlights a slot hiding a lever that allows a single person to fold the wings in minutes. You can read my pilot report on the FK9 to appear in the November 2006 EAA Sport Pilot (and later posted on ByDanJohnson.com). The feature of folding wings is credited with the sale of many aircraft by brands such as Kitfox and Kolb (among numerous others). Promoting the Sport Pilot certificate, I've visited flight schools at busy airports where one of the obstacles to growth -- and to adding a LSA as a trainer -- has been a lack of more space to hangar their fleet. 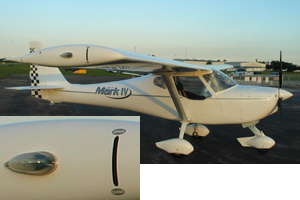 Now with FK Lightplanes USA bringing in their first two FK9 Mark IV B models, this could change. *** The Florida-based importer for the German design used in many of that country's flight schools recently took delivery of its first two "B" versions configured as they will routinely import them. 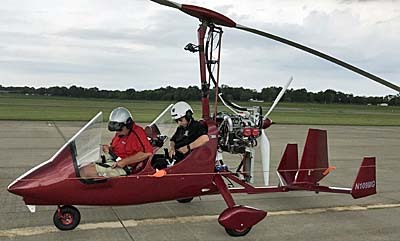 Their selection includes two-feet less span with the 100-hp Rotax 912S and folding wings as the standard model (though the 80-horse, non-folding wing models can be special ordered). The first customer, taking both aircraft, was the cooperative LetsFly.org that helps buyers share ownership of LSA and other aircraft. The feature of folding wings is credited with the sale of many aircraft by brands such as Kitfox and Kolb (among numerous others). Promoting the Sport Pilot certificate, I’ve visited flight schools at busy airports where one of the obstacles to growth — and to adding a LSA as a trainer — has been a lack of more space to hangar their fleet. Now with FK Lightplanes USA bringing in their first two FK9 Mark IV B models, this could change. *** The Florida-based importer for the German design used in many of that country’s flight schools recently took delivery of its first two “B” versions configured as they will routinely import them. Their selection includes two-feet less span with the 100-hp Rotax 912S and folding wings as the standard model (though the 80-horse, non-folding wing models can be special ordered). The first customer, taking both aircraft, was the cooperative LetsFly.org that helps buyers share ownership of LSA and other aircraft. I photographed this gorgeous FK14 Polaris traildragger in the early morning at Germany's Aero 2005 airshow. Actually a "B" model, this newest Polaris has enhanced features including the distinctive winglets. Read my 1999 Pilot Report on FK9. For years, FK Lightplanes has been a leading supplier in Europe. Designs are created by Otto and Peter Funk, the father and son team that introduced the FK9 Mark IV (all-round use and trainer design), the FK12 Comet (enclosed, folding biwing), and the elegant FK14 Polaris, a modern LSA candidate available in tricycle gear or taildragger. FK planes appointed Wings of Paradise their American representative. Based in south Florida at North Perry Airport (HWO), Wings of Paradise is a longtime ultralight dealer and provider of lessons on Miami area beaches. 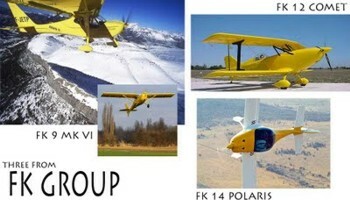 FK Lightplanes sells models like the FK14 Polaris in 51% kit form, fast-build form, and it is available ready-to-fly. Wings of Paradise is working with the German producer to meet SLSA standards; the design is certified under Germany's Microlight rules. E-mail contact. For years, FK Lightplanes has been a leading supplier in Europe. Designs are created by Otto and Peter Funk, the father and son team that introduced the FK9 Mark IV (all-round use and trainer design), the FK12 Comet (enclosed, folding biwing), and the elegant FK14 Polaris, a modern LSA candidate available in tricycle gear or taildragger. FK planes appointed Wings of Paradise their American representative. Based in south Florida at North Perry Airport (HWO), Wings of Paradise is a longtime ultralight dealer and provider of lessons on Miami area beaches. FK Lightplanes sells models like the FK14 Polaris in 51% kit form, fast-build form, and it is available ready-to-fly. Wings of Paradise is working with the German producer to meet SLSA standards; the design is certified under Germany’s Microlight rules. E-mail contact. Welcome to our newest Special Light-Sport Aircraft, the German FK9 Mk IV. This pleasant flying high wing is available either in tricycle gear or in taildragger. More info is available on the FK Lightplanes USA website. FK Lightplanes FK9 Mk IV becomes our 21st SLSA since April 15 (a rate of 3 per month!). A longtime ultralight enthusiast with a list of FAA ratings, importer Tony Anderson has moved fast since securing distribution of Germany's FK Lightplanes. Since my SPLOG two days ago, Tony was able to confirm by copy of his Airworthiness Certificate the SLSA approval for the FK9 Mk IV on November 17th. Here is a proven microlight design built very lightly (590 pounds empty) using fiberglass over steel construction. Powered by a Rotax 912 or 912S, FK9 cruises at 105 knots and climbs 1,500 fpm at gross (with 100 hp engine at 1,146 pounds gross weight). In service for many years in Germany, FK9 is quite popular with flight schools. It also has the slickest of wing folding mechanisms. A single person can unhook the wing -- from the tip -- and fold the wing. FK Lightplanes FK9 Mk IV becomes our 21st SLSA since April 15 (a rate of 3 per month!). A longtime ultralight enthusiast with a list of FAA ratings, importer Tony Anderson has moved fast since securing distribution of Germany’s FK Lightplanes. Since my SPLOG two days ago, Tony was able to confirm by copy of his Airworthiness Certificate the SLSA approval for the FK9 Mk IV on November 17th. Here is a proven microlight design built very lightly (590 pounds empty) using fiberglass over steel construction. Powered by a Rotax 912 or 912S, FK9 cruises at 105 knots and climbs 1,500 fpm at gross (with 100 hp engine at 1,146 pounds gross weight). 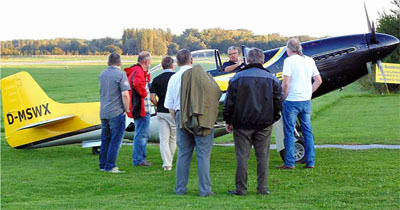 In service for many years in Germany, FK9 is quite popular with flight schools. It also has the slickest of wing folding mechanisms. A single person can unhook the wing — from the tip — and fold the wing.